The 2017 session of the legislature kicked off this morning with House and Senate members gathering to establish rules and then picking-up where they left off in December. The repeal of House Bill 2, voting rights, the question of raising the age at which individuals can be prosecuted as adults in the criminal justice system, the state’s coal ash problem and a new budget are among the issues lawmakers will tackle in the coming months. This afternoon reporter Lisa Sorg has a rundown of the environmental issues facing the General Assembly. 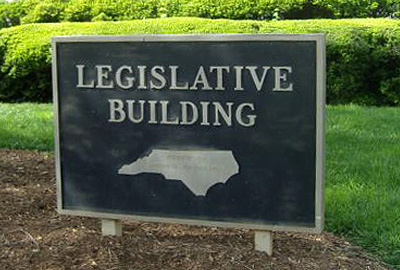 Click here for Part One of our legislative preview by NC Policy Watch reporters Joe Killian and Melissa Boughton. In 2016, state lawmakers amended the Coal Ash Management Act of 2014 to require Duke Energy to provide a permanent alternative water supply to all well owners within a half-mile of a coal ash pond. But CAMA, as it’s known, is still anemic, allowing DEQ to lower the hazard risk of coal ash impoundments if Duke repairs its dams and provides permanent water to nearby residents. There is still a lot of hocus-pocus occurring during Duke’s wastewater permitting process: new landfills being included in draft permits for plants where landfills are allegedly verboten, for example. 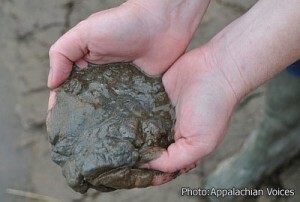 And under the regime of Secretary Donald van der Vaart, DEQ released a stream of press releases and videos purporting to demonstrate that all was well in coal ash land and that environmental extremists and lobbyists were to blame for any clean up delays. As we learn more about the all-too-common leaks and discharges from the utility’s coal ash landfills — and as litigation wends through the courts — CAMA could and should be amended again to account for new information. At a meeting last month, the state’s Energy Policy Council signaled its intent to tighten the regulatory reins on the solar industry, ironic, when one considers the consistent anti-regulatory stance adopted by DEQ higher-ups. Not only could the legislature undercut solar power, but also wind energy — Sen. Harry Brown made overtures that he would try again to pass a law prohibiting wind turbines in military air corridors — and the entire Renewable Energy Portfolio Standard. Passed in 2007, the REPS has required investor-owned utilities to generate or buy a certain percentage of their power from renewable sources. Conservatives, especially those with ALEC membership cards, like House Speaker Tim Moore, have long despised the REPS and favored fossil fuels. But even with both chambers in Republican control, the anti-REPS contingent has never been able to overturn or weaken the REPS.
Will they accomplish their goal this year? And if Cooper vetoes such legislation, will there be the necessary headcount for an override? A common refrain among DEQ staff is “we don’t have the funding” — funding to conduct air quality monitoring, to do water quality sampling, to clean up all of the contamination from leaking petroleum tanks, dry cleaners and other polluters. The NC Department of Environmental Quality never has enough money to do its job. And by job, we mean protecting the environment via scientific rigor, not doubling the legal staff, which occurred in the Skvarla/van der Vaart years, according to state personnel records. The lack of fiscal priorities becomes clear when considering the legislature wasted more than a million dollars on the failed SolarBee project, yet cut funding to the Clean Water Management Trust Fund, which moved completely out of DEQ to a different department in 2015. Perhaps this will be the year legislators will stop the fiscal gutting of DEQ. The state Supreme Court recently ruled 5-2 that the state’s takeover of Asheville’s water system didn’t pass constitutional muster. But that doesn’t mean the issue is dead. Rep. Chuck McGrady, a Republican representing Henderson County, told the Citizen-Times “there’s more than one way to skin a cat.” His statement has sparked speculation that McGrady could introduced some type of finely parsed, nuanced legislation to circumvent the constitutionality issue. The EMC has significant quasi-judicial power, taking some of its marching orders from the legislature and, via rule-making, drawing up some of its own. For example, four years ago the EMC voted to change DEQ’s methodology in determining what waterways should be on the federal list of impaired waters. The EPA is displeased with the change and has twice scolded the state for its scientific waywardness and twice added waterways to the list. Air quality, coal ash, water quality and quantity, waste, landfills: All of these issues come before the EMC. That’s why the appointments are so important. In June, the terms of seven members will expire, including that of vice-chair Kevin Martin and Steve Tedder, who was behind the change affecting the federal impaired water list. Of the appointments, Gov. Roy Cooper will have four, while House Speaker Tim Moore can choose two, and Senate President Pro Tem Phil Berger, one. Any new appointments — or reappointments — could influence environmental policy throughout the Cooper administration. Although this issue falls outside of legislative power, it will be interesting to see if as governor, Roy Cooper withdraws North Carolina from the multi-state lawsuit against the EPA over the Clean Power Plan and a clean water rule. Former Gov. Pat McCrory and DEQ Secretary Donald van der Vaart both piggy-backed onto other states’ lawsuits, but as Attorney General, Cooper refrained from doing so.